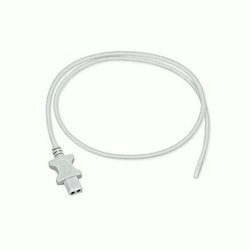 Usege: disposable temperature adapter cables. Case of 20. - Very small diameter gives fast response in air and liquids. Calibration of Electronic Probe with DRO range upto 30mm. We are a most trusted name amongst the topmost companies in this business, instrumental in offering high quality array of Surface Temperature Probe. Temperature Measurement Handheld Probe is manufactured using stainless steel and is designed to measure surface temperature of solids. These hand held probes are easy to use, ensures accuracy, with short response time. The pointed tip of the instrument allows exact positioning of the sensor at the desired spot, thus enhancing the measurement accuracy and eliminating heat transfer through stem.